Ten students* from the Master of Development Practice (MDP) and one from the Master of Public Policy (MPP) degree programs traveled to New York City the week of September 24 to present their work at the 6th annual International Conference for Sustainable Development, co-hosted by Columbia's Earth Institute, the Sustainable Development Solutions Network, and the Global Association of the Master's of Development Practice (to which the Minnesota program belongs). 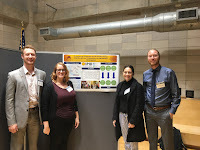 One oral and four poster presentations covered projects including indigenous economies in Belize, rural water filtration in Colombia, picture-based contracting in Ghana, agroforestry in Kenya and the work of the student group Interdisciplinary Perspectives on International Development, or IPID. Additionally, Dave Wilsey, MDP Program Director, Winnipeg MDP Director Claire Reid co-organized and moderated a panel on indigenous people's perspectives on sustainable development. 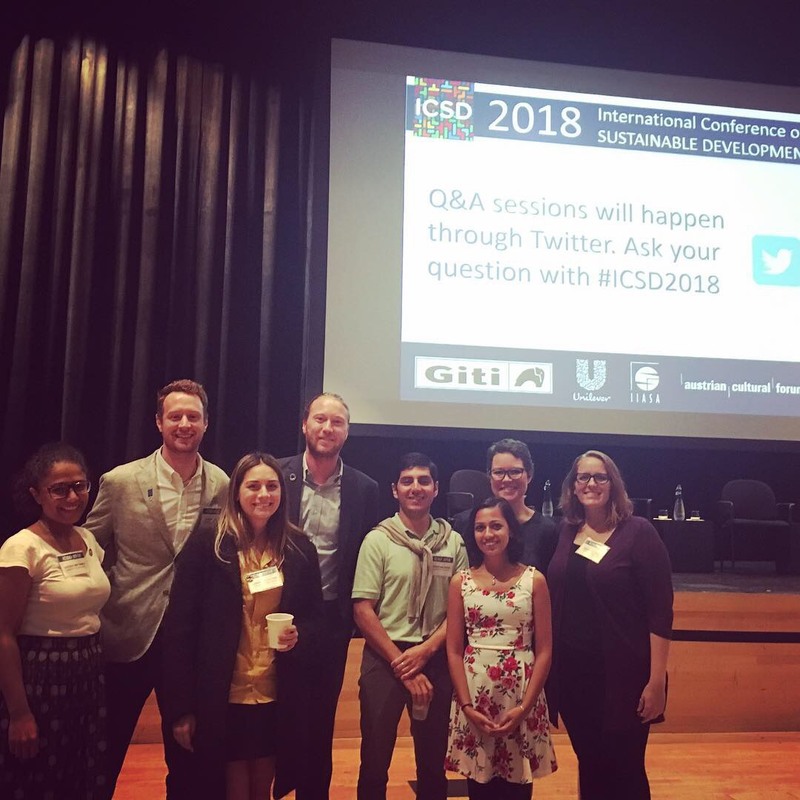 The ICSD meetings are hosted annually in New York City and feature speakers and events associated with United Nations week. 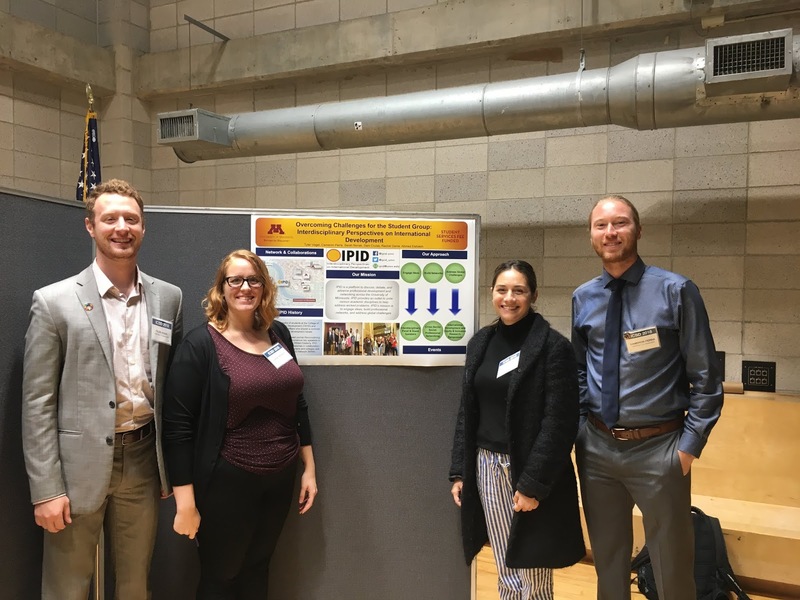 This is the sixth year that MDP and Humphrey students and faculty presented at this conference. Link to the conference is here: http://ic-sd.org/. 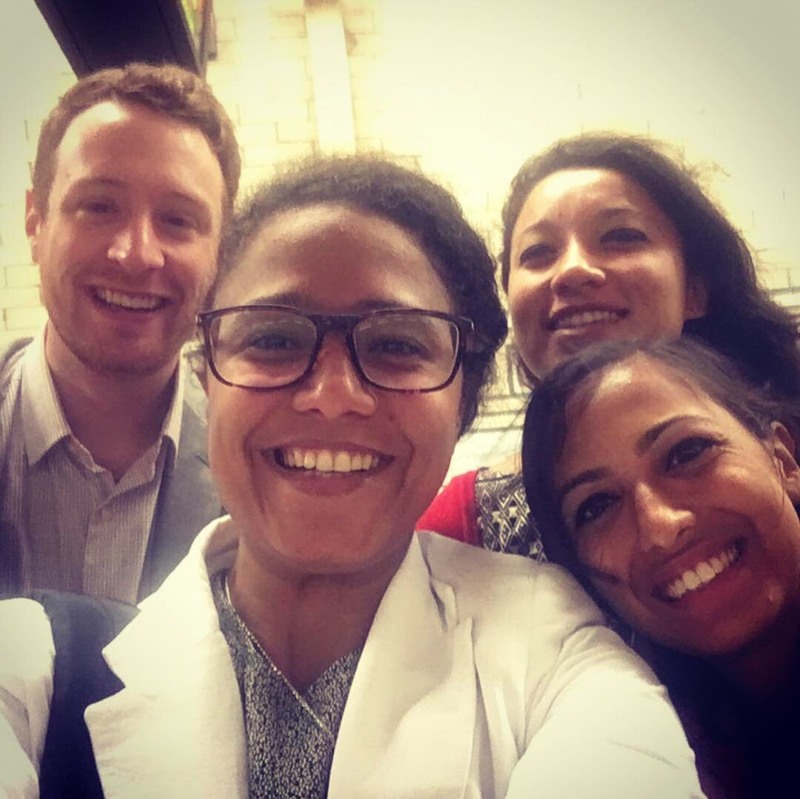 The first close up picture is all MDP second year students Tyler Vogel, Sadikshya Aryal, Nayera Metwaly, and Surabhi Singh. Second photo MDP students Nayera Metwaly, Tyler Vogel, Cameron Perra, Sam Cruise, Didier Bolanos Gonzalez, Sydney Henderson, Sadikshya Aryal, and MPP student Sarah Novack. Everyone is attendance presented either a poster or an oral session. 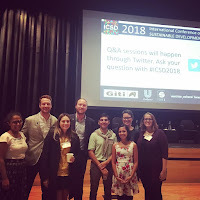 The photo on left are members of the IPID executive team who presented "Overcoming Challenges for the Student Group: Interdisciplinary Perspectives on International Development" with Tyler Vogel, Cameron Perra, Sam Cruise, and Sarah Novack.